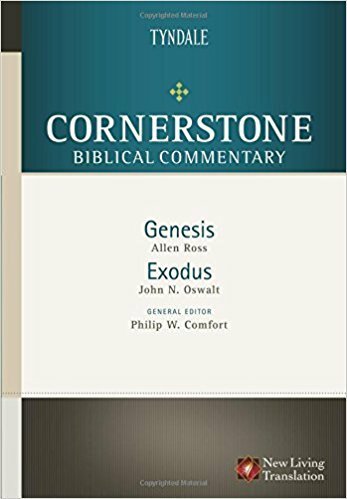 The Cornerstone Biblical Commentary provides students, pastors and lay people with up-to-date, accessible evangelical scholarship on the Old and New Testaments. Designed to equip pastors and Christian lay leaders with exegetical and theological knowledge to better understand and apply God's word by presenting the message of each passage as well as an overview of other issues surrounding text. Includes the entire NLT text of Genesis and Exodus. John N. Oswalt, Ph.D., Brandeis University, is Research Professor of Old Testament at Wesley Biblical Seminary in Jackson, Mississippi. He was the Old Testament editor of the Wesley Bible and also served as consulting editor for the New International Dictionary of Old Testament Theology and Exegesis. He has written six books, including a two-volume commentary on Isaiah in the New International Commentary on the Old Testament series and commentary on Isaiah in the New International Version Application Commentary series. He has been a member of the translation teams for the New International Version and the New Living Translation.